Pterygium prevention is generally not a public health issue that people think about. A pterygium is not cancerous nor malignant. Most do not cause any visual problems. 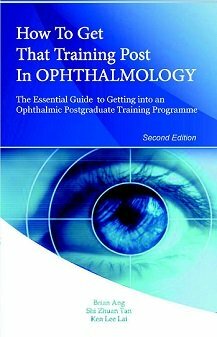 Permanent blindness from a pterygium is rarely heard of, unless in very unusual situations. However, a pterygium can be unsightly and cause a lot of irritation. Symptoms include redness, watering of the eyes, sensation of dryness and grittiness (similar to that in dry eye syndrome), foreign body sensation, and even double vision in rare occasions. You may also develop blurring and visual distortion from induced astigmatism. Left: mild pterygium with little advancement onto the cornea. This pterygium is unlikely to cause any problems. Right: advanced pterygium with significant advancement onto the cornea, almost obscuring the visual axis. It is likely to cause significant redness and irritation of the eye, and will benefit from treatment if symptomatic. At present, the only effective way of treating a pterygium is through surgical excision and conjunctival autograft. Although surgery is safe, there are still associated risks. Furthermore, there is still a chance that the pterygium may recur a few years down the line despite successful initial surgery. The best approach is therefore to prevent the pterygium from developing in the first place. Research has pinpointed ultraviolet light as the main culprit for pterygia. The longer and greater your exposure to the sun throughout your life, the higher your risk of developing a pterygium. Unsurprisingly they are more common in tropical areas within 40° latitude of the equator and desert locations. Those with outdoor occupations are at a particularly high risk. This includes sailors, farmers, fishermen and gardeners. 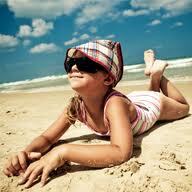 The best way to protect from ultraviolet light damage is to wear 100% UV protection sunglasses. 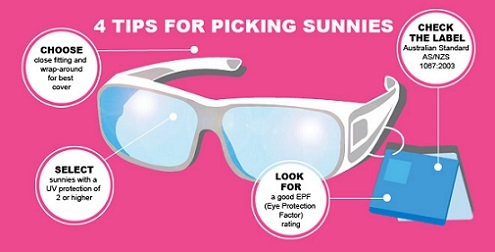 Look for a label that says 100% UV protection or UV 400 or an EPF rating of 9 or 10. Wrap around and close fitting sunglasses will offer greater protection than smaller frames. Make sure you wear your UV protection sunglasses all the time when you are out, even during winter and when it seems shady. Ultraviolet light can be reflected onto your eye from different surfaces including windows, water, sand and snow. Sunlight damage can start from a young age. Try to keep your children away from the sun in the mid-afternoon when it is the hottest. If they have to be outdoors, make sure they wear a wide-brimmed hat and/or 100% UV-blocking sunglasses. Use prams or strollers with awnings or hoods to protect your pre-school children from excessive sunlight. Encourage your children to wear the sunglasses outdoors at the earliest age possible. In addition to ultraviolet light, exposure to harsh environmental conditions is thought to encourage pterygia to develop. If you already have an early pterygium, further irritation by wind, sand and dust will inflame it even more and potentially encourage further growth. Try to avoid going out in overly windy, dusty and sandy conditions. If you must be out during such conditions, make sure you wear protective goggles. This protects your eyes against trauma and reduces the amount of conjunctival irritation. Using artificial tears (the same as those used for dry eye treatment) may also be beneficial. By regularly lubricating your eyes, you reduce the amount of eye irritation and inflammation. This may help to reduce further growth of the pterygium or even prevent it from forming in the first place. There are many different over-the-counter preparations of artificial tears. Use the one(s) that you feel soothes your eyes the best.